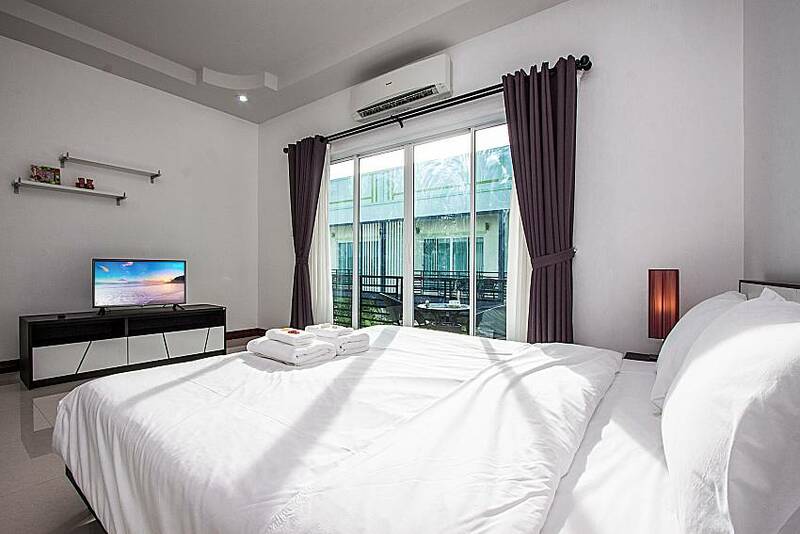 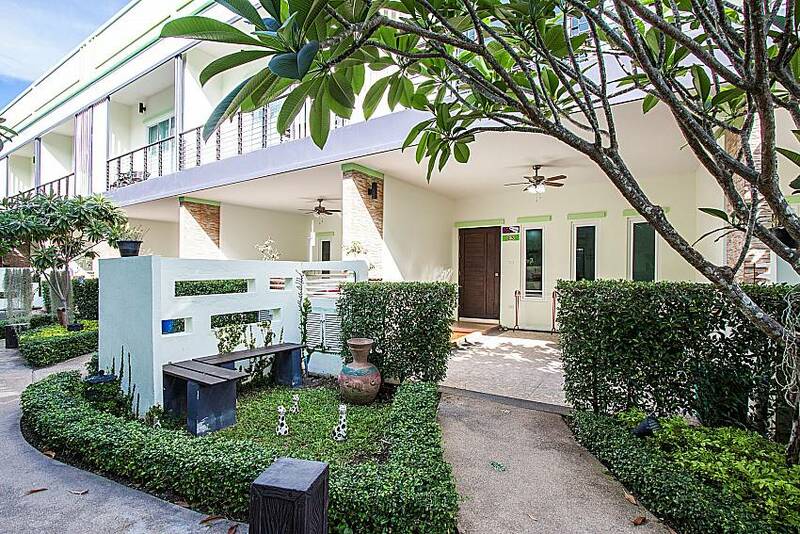 Made for families and friends looking for a truly relaxing holiday destination, Baan Kiet comprises a set of townhouses quietly nestled in a charming secured property. 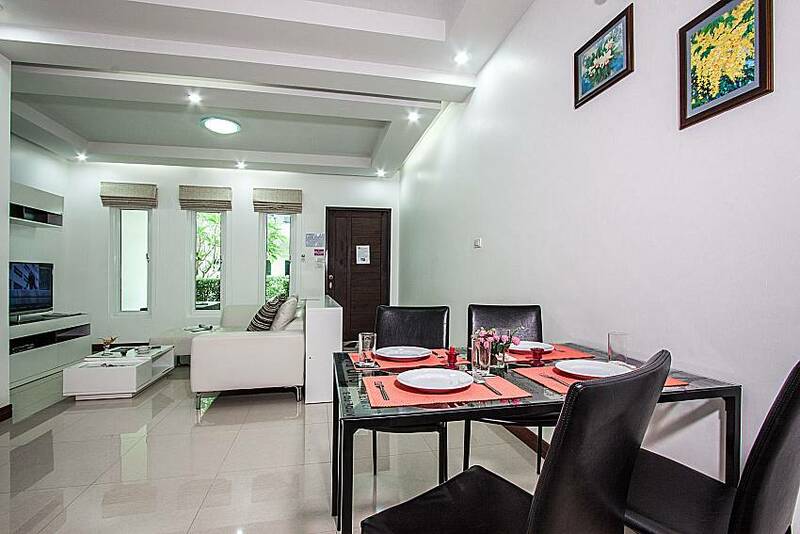 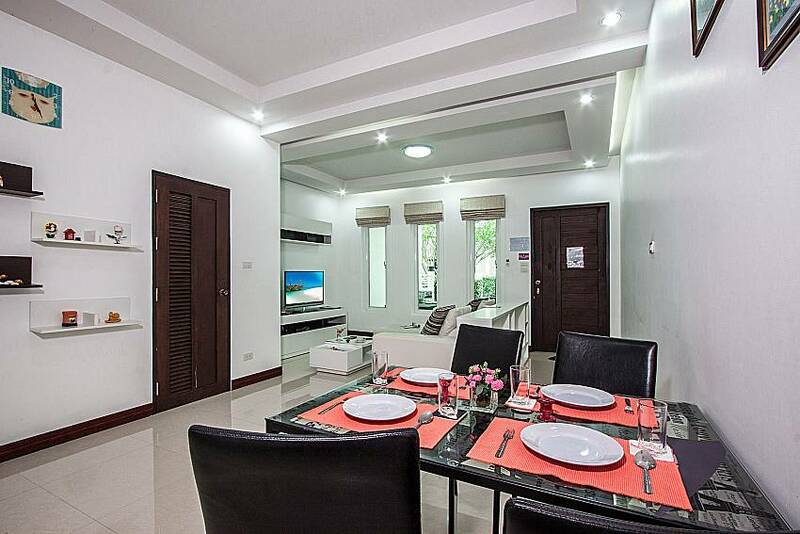 Each townhouse features a mix of Asian and contemporary fittings, as well two bedrooms that are ideal for 4 persons. 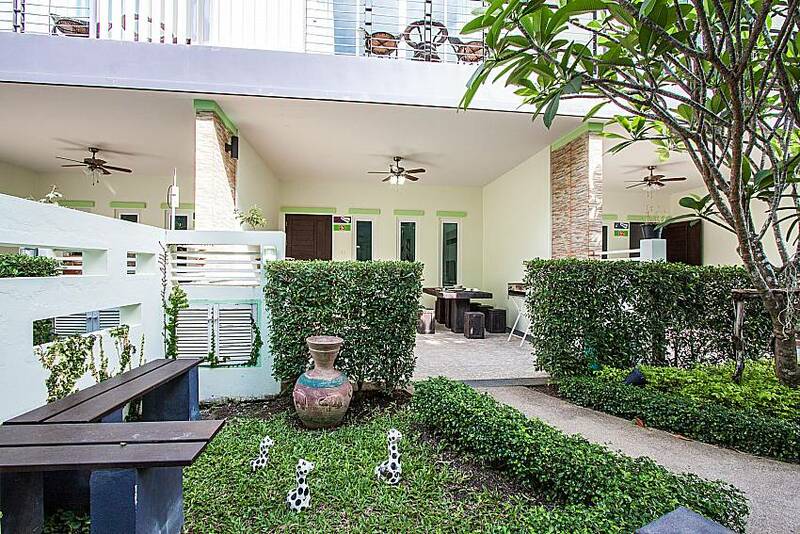 These cozy and modern townhomes are situated inside a small picturesque estate boasting a lush garden - a setting not only beautiful but perfectly serene. 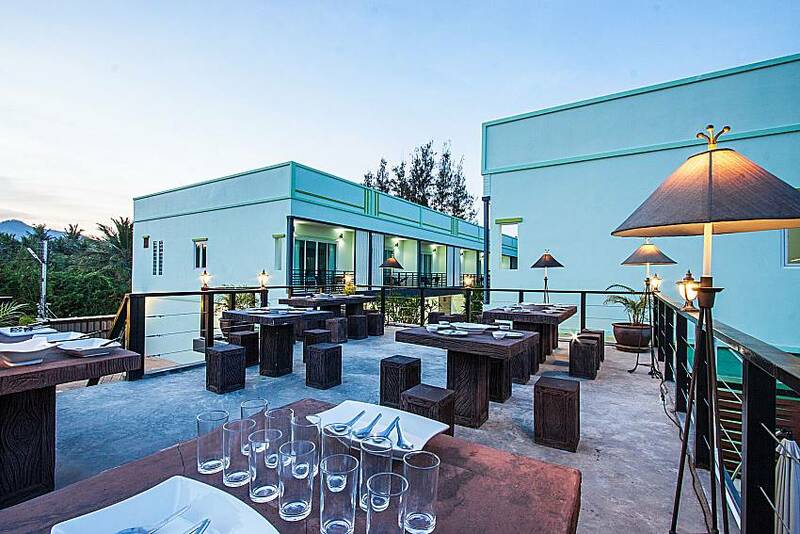 The on-site facilities include a communal swimming pool with waterfalls and sunbeds, small exercise area, rooftop suitable for small-scale parties and events, safe parking and even an ice-cream shop. 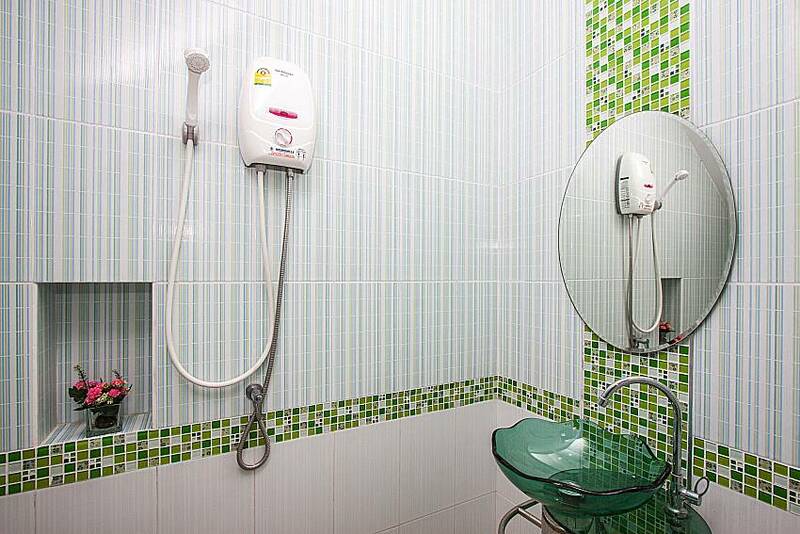 Daily cleaning service is included and many convenience stores and eateries are within walking distance. 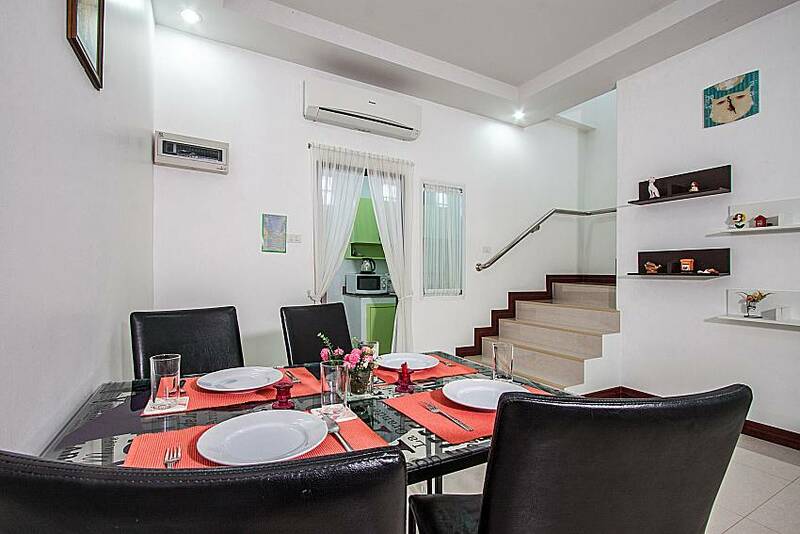 Each house spreads over two floors connected by a set of stairs. 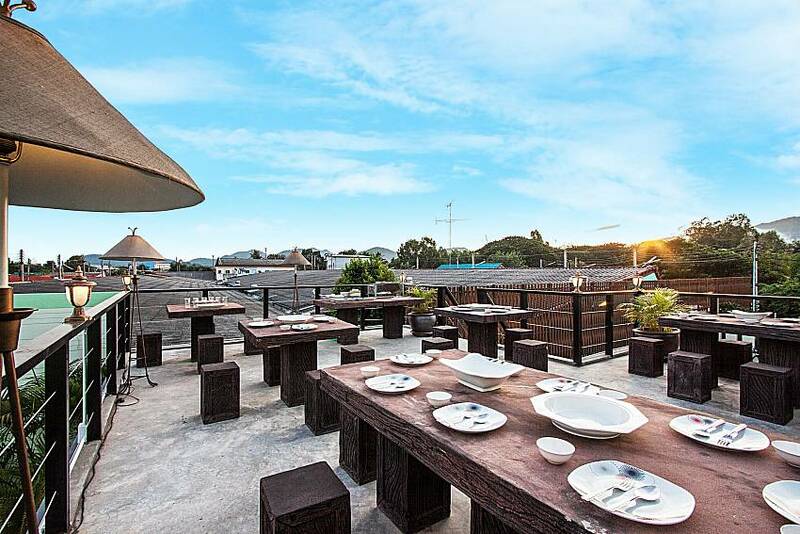 In front, facing the picturesque garden, there is an outdoor table with 6 chairs and a BBQ, perfect for those breezy afternoons. 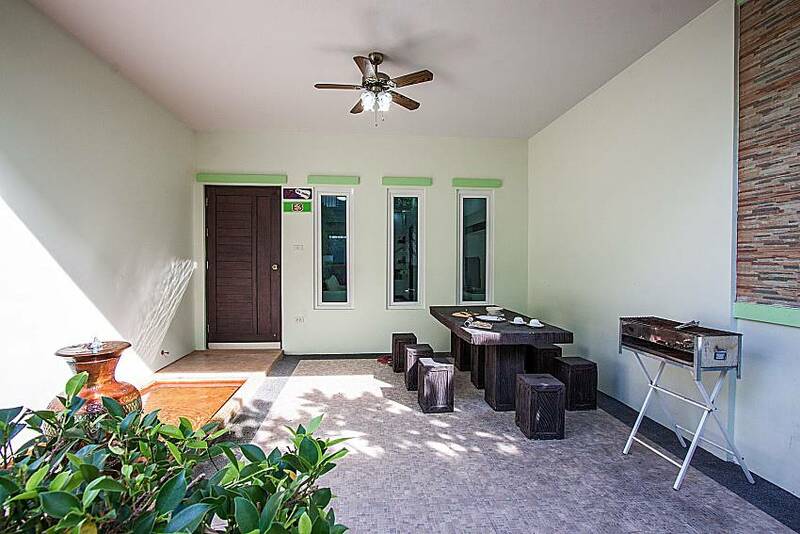 Inside you will come upon an open plan living room and dining area with a table for 4. 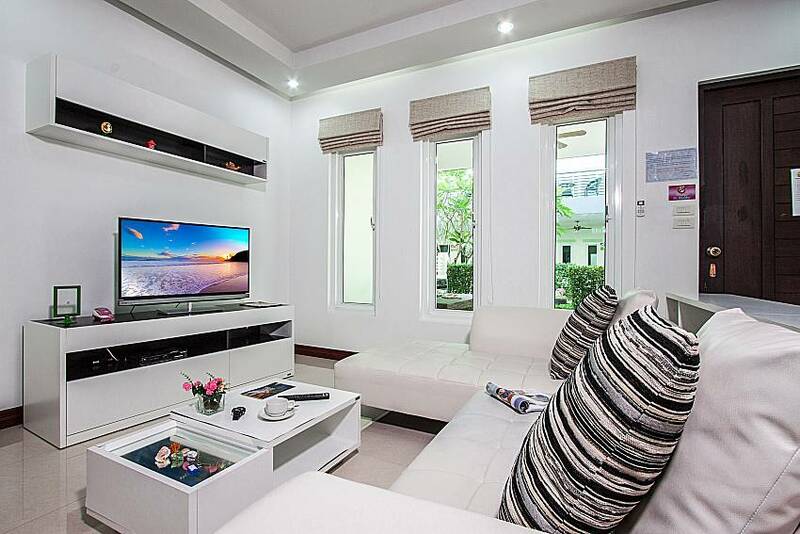 The living room features a comfy couch and elegant white furnishings along with a flat-screen Cable TV. 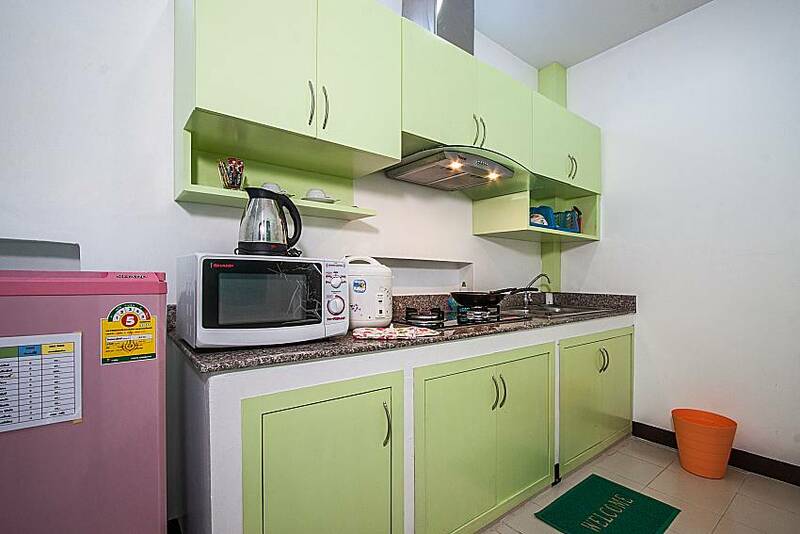 Straight ahead from the dining room is the fully equipped kitchen and to the right is the first bathroom that includes a shower. 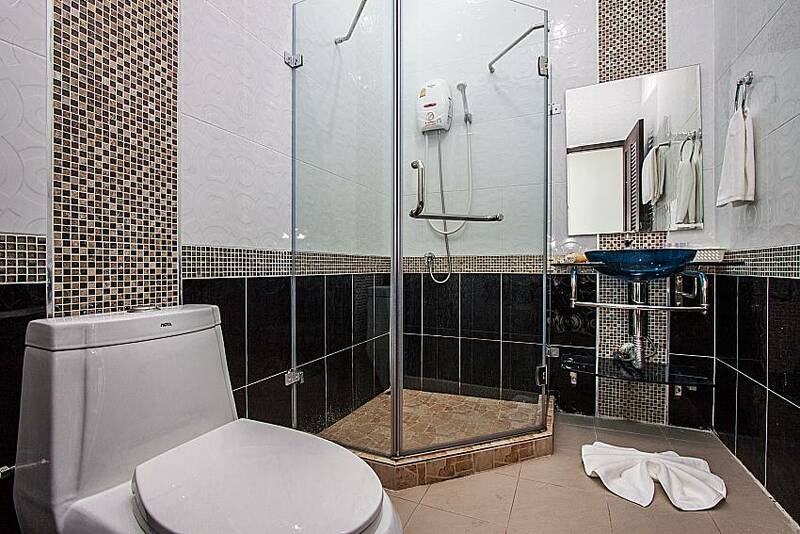 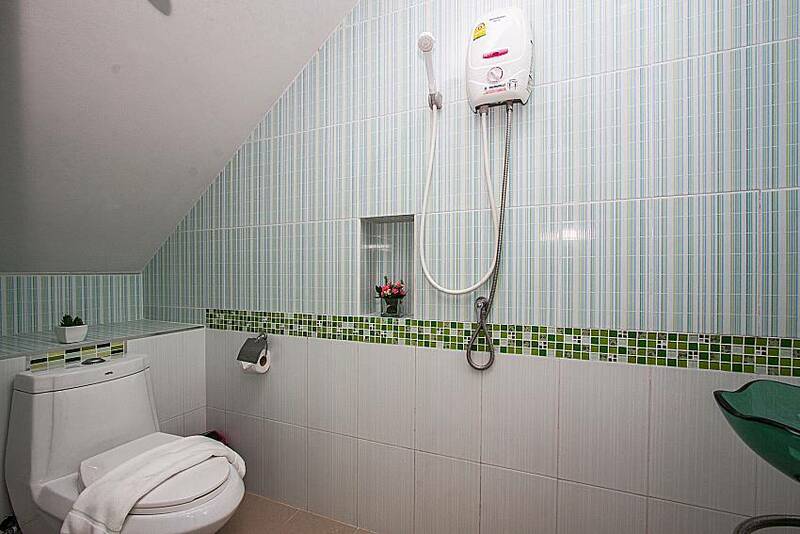 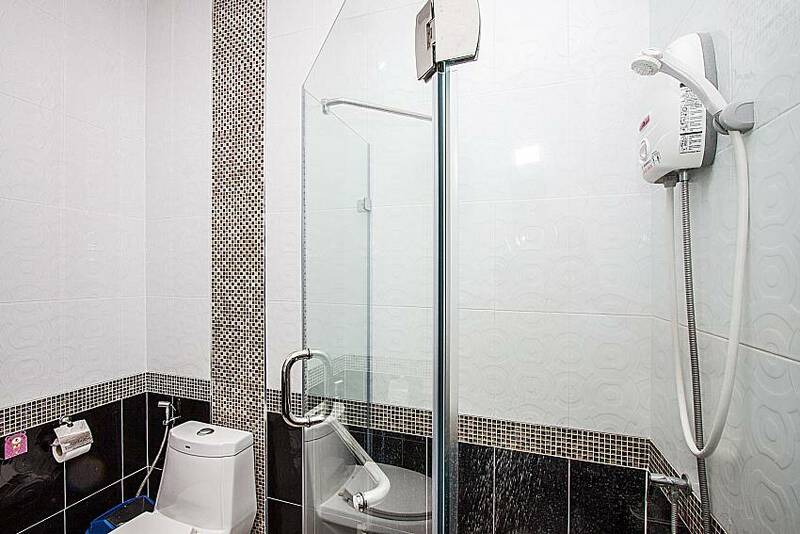 Up on the floor are the two bedrooms that share the second bathroom (with a shower, basin and toilet). 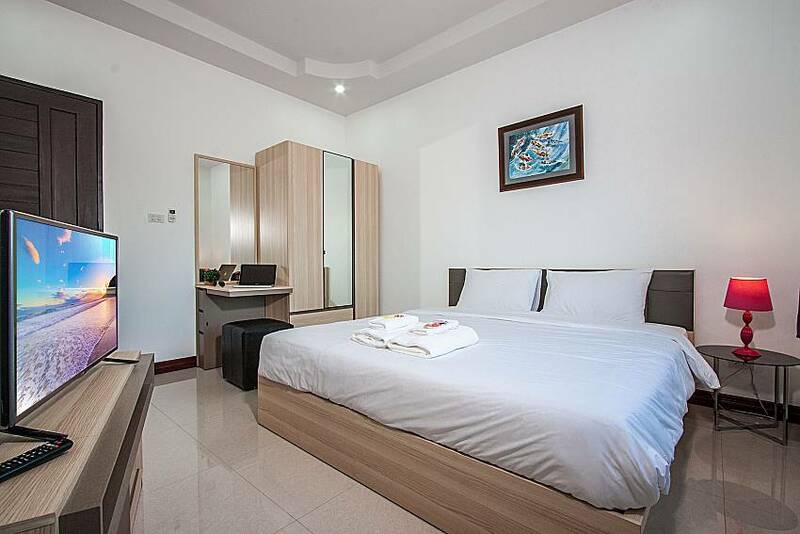 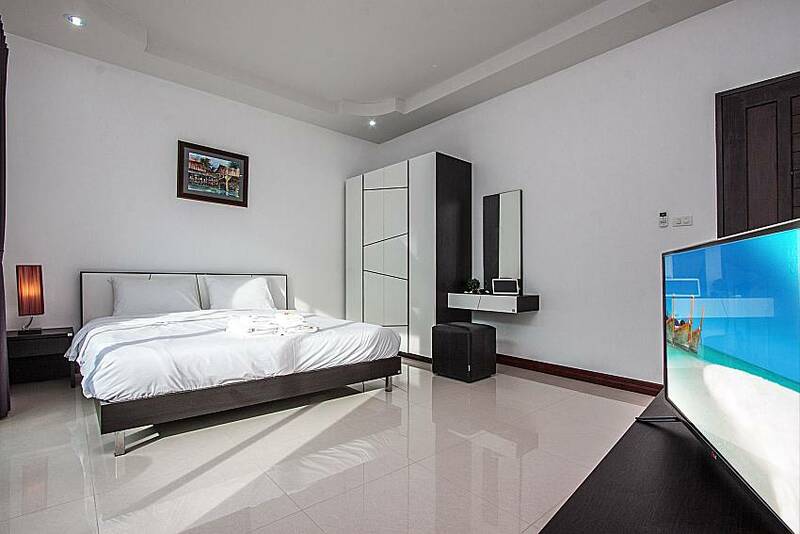 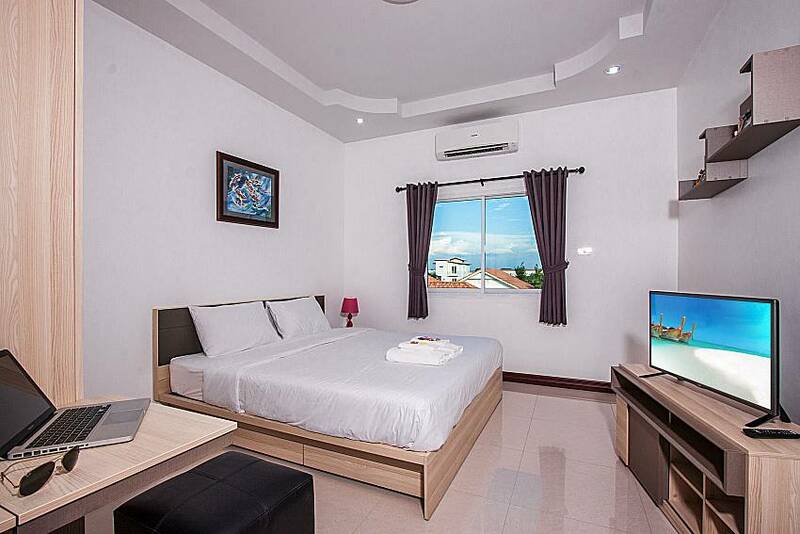 The rooms are modernly furnished, with king size beds, wardrobes, 32’’ TVs; the master bedroom also features a balcony with a small coffee table and two chairs. 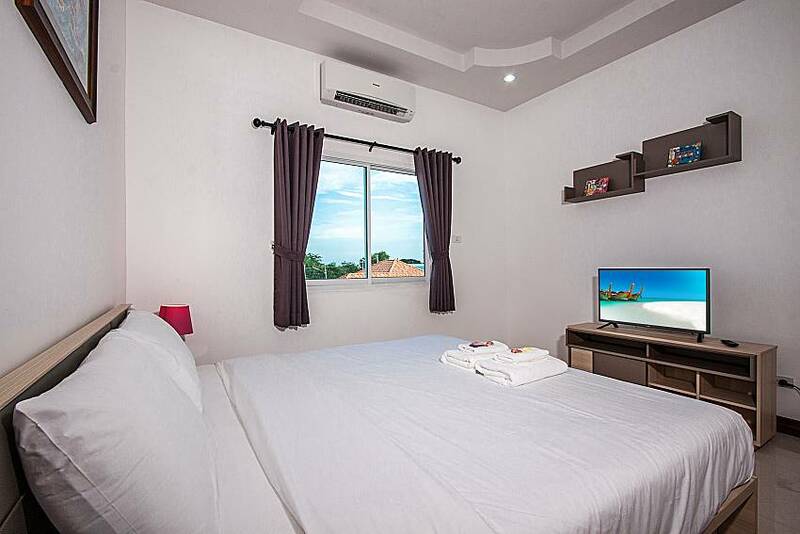 All rooms are air-conditioned and full of natural light. 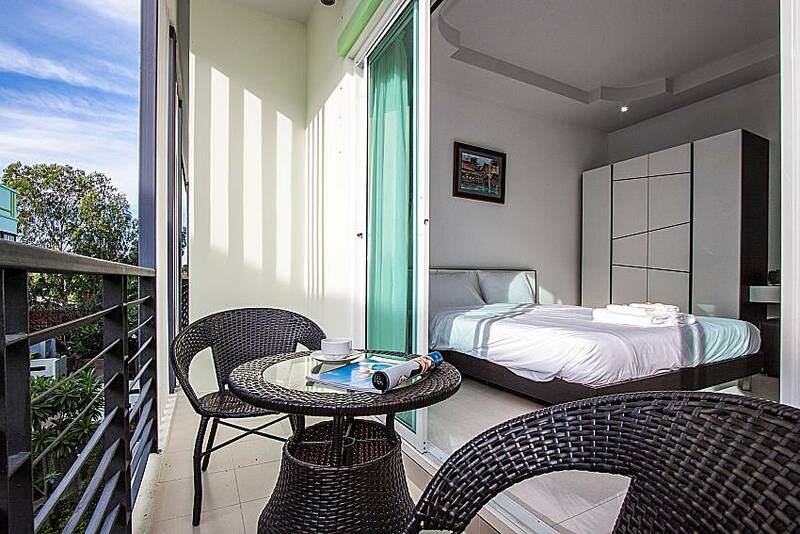 Please note: There are 5 townhouses available so it is possible to rent multiple units, depending on the size of your group. 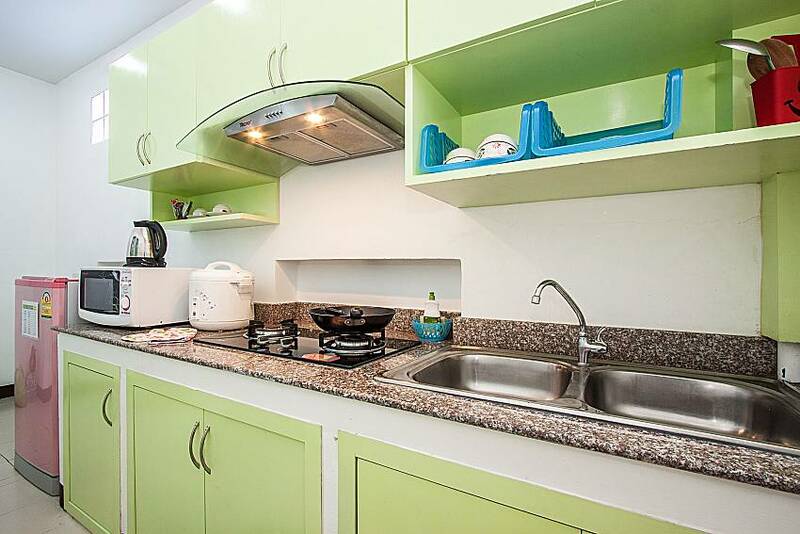 The interior of each townhome can be slightly different. 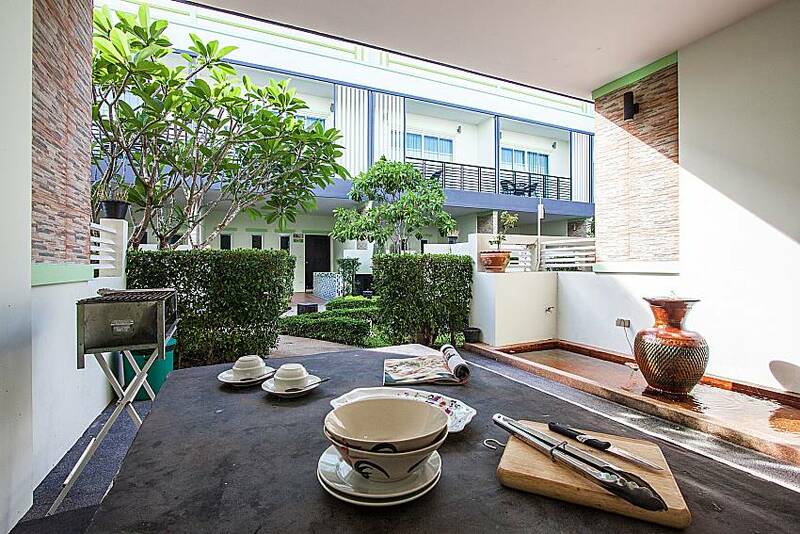 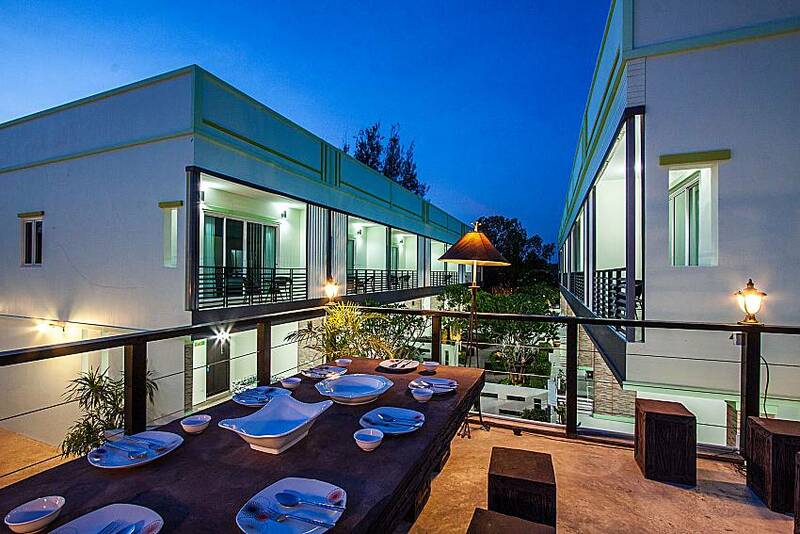 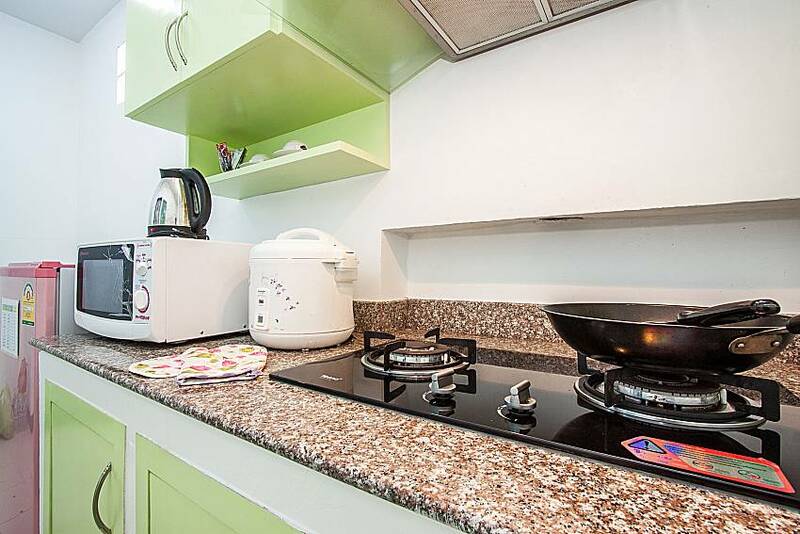 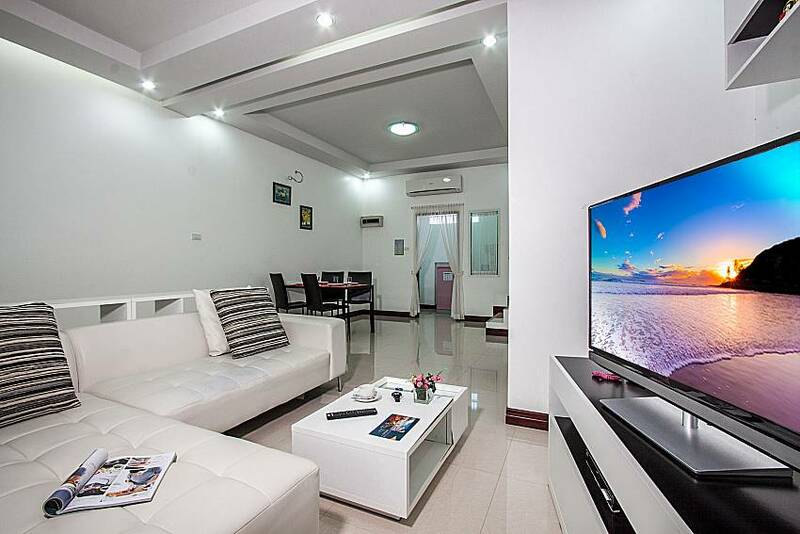 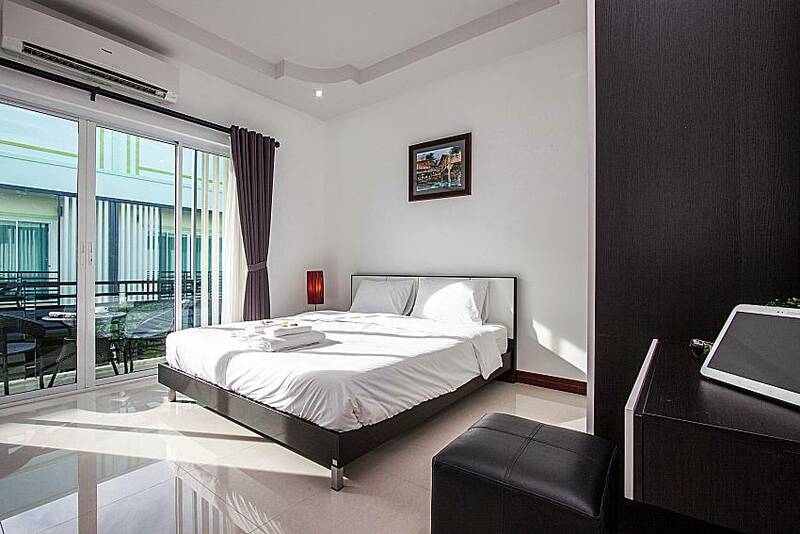 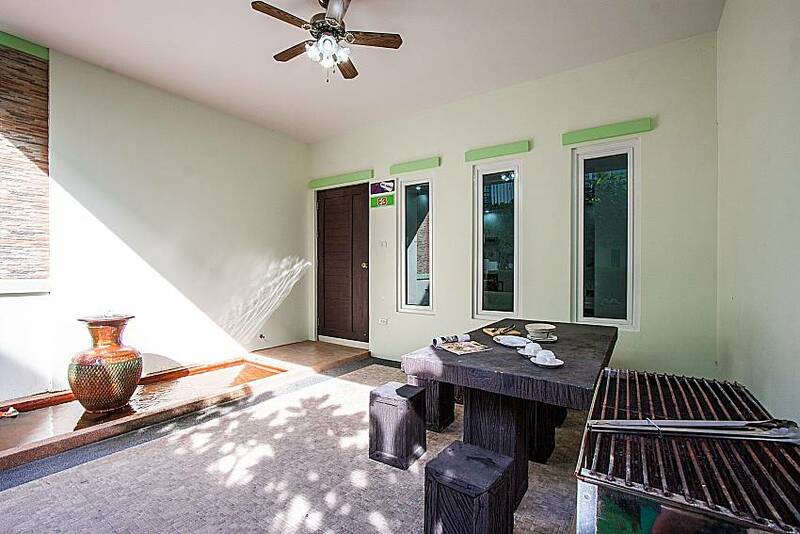 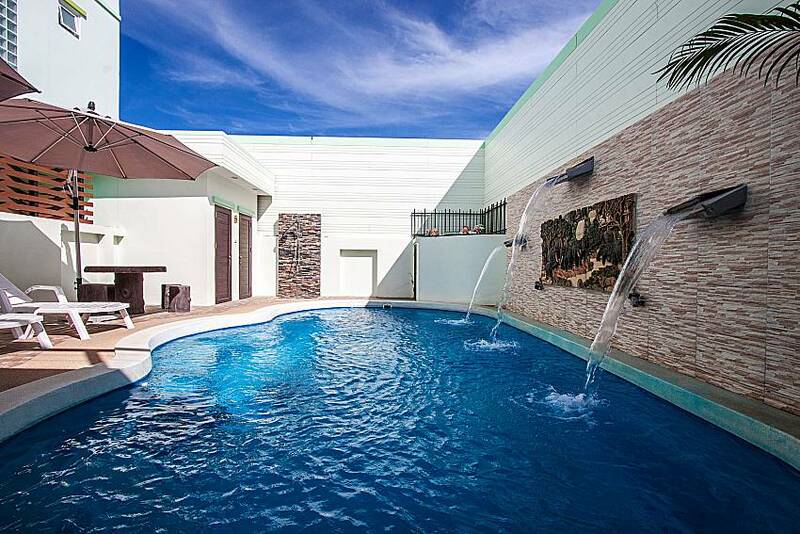 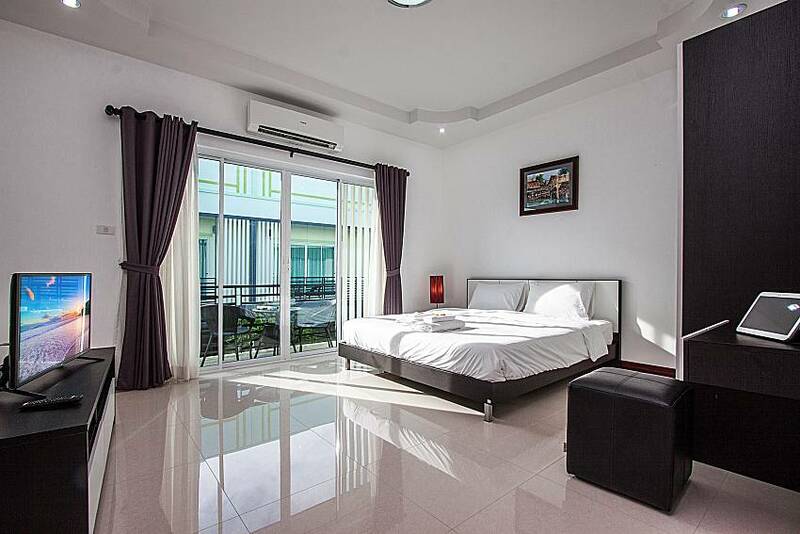 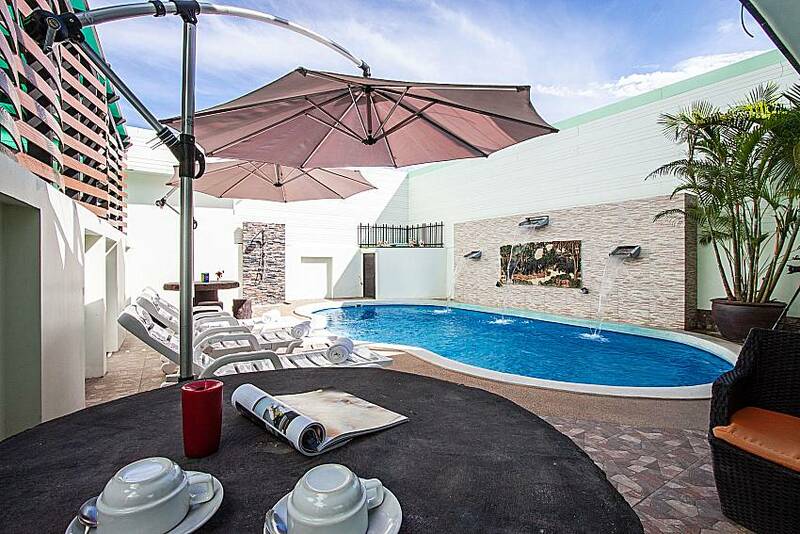 Click here to see more of our unique villa rentals in Hua Hin.